Being a girl / Kim Cattrall and Amy Briamonte ; illustrations by Marf. by Cattrall, Kim | Briamonte, Amy | Marf [ill.]. Edition: 1st ed.Material type: Book; Format: print ; Nature of contents: ; Literary form: Not fiction ; Audience: Juvenile; Publisher: New York : Little, Brown, 2006Other title: Navigating the ups and downs of teen life.Availability: Items available for loan: Butte Public Library [Call number: YA 158.1 CAT] (1). How to be a vampire : a fangs-on guide for the undead / Amy Gray. by Gray, Amy Tipton, 1955-. Edition: 1st ed.Material type: Book; Format: print ; Literary form: Not fiction Publisher: Somerville, Mass. : Candlewick Press, 2010Availability: No items available Checked out (1). Perfect [electronic resource] : a pretty little liars novel / Sara Shepard. Unbelievable [electronic resource] : a pretty little liars novel / Sara Shepard. Wicked [electronic resource] : a pretty little liars novel / Sara Shepard. Ten things we did (and probably shouldn't have) [electronic resource] / Sarah Mlynowski. Are you there God? 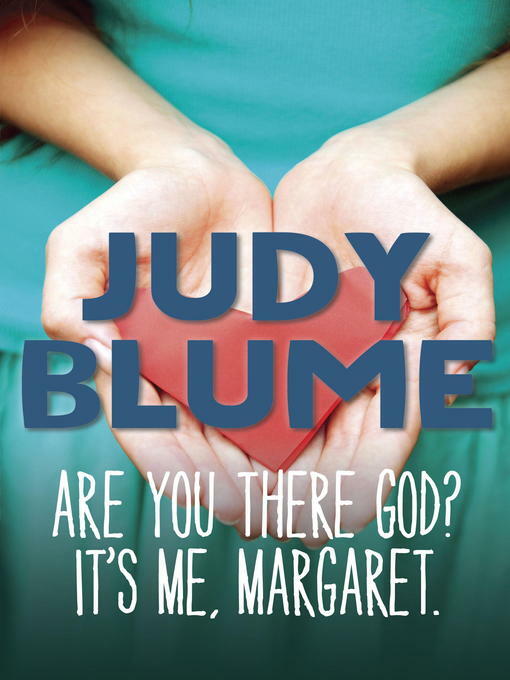 It's me, Margaret [electronic resource] / Judy Blume. by Blume, Judy | Hamilton, Laura. Mom, I hate my life! 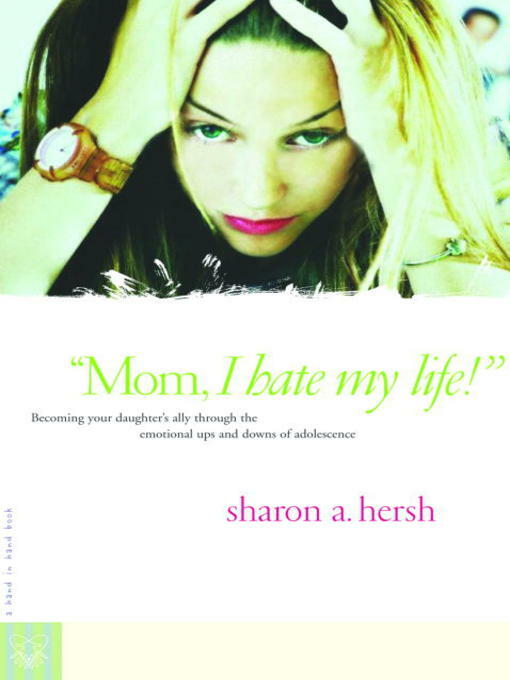 [electronic resource] : becoming your daughter's ally through the emotional ups and downs of adolescence / Sharon A. Hersh. Destination human [electronic resource] / K.L. Denman. by Denman, K. L, 1957-. Are you there, God? [electronic resource] : it's me, Margaret / Judy Blume. This one summer / Mariko Tamaki, Jillian Tamaki. by Tamaki, Mariko [author.] | Tamaki, Jillian, 1980-. Edition: First edition.Material type: Book; Format: print ; Literary form: Fiction ; Audience: Juvenile; Publisher: New York : First Second, 2014Availability: Items available for loan: Butte Public Library [Call number: GN TAM] (1). This full house / Virginia Euwer Wolff. Edition: 1st ed.Material type: Book; Format: print ; Literary form: Fiction ; Audience: Adolescent; Publisher: New York : Bowen Press, c2009Availability: Items available for loan: Butte Public Library [Call number: YA F WOL] (1). True believer / Virginia Euwer Wolff. Edition: 1st Simon Pulse ed.Material type: Book; Format: print ; Literary form: Fiction ; Audience: Pre-adolescent; Publisher: New York : Simon Pulse, 2002, c2001Availability: Items available for loan: Butte Public Library [Call number: YA F WOL] (1). Express yourself : a teen girl's guide to speaking up and being who you are / Emily Roberts, MA, LPC. Material type: Book; Format: print ; Literary form: Not fiction ; Audience: Adolescent; Publisher: Oakland, CA : Instant Help Books, an imprint of New Harbinger Publications, Inc., Availability: Items available for loan: Butte Public Library [Call number: YA 158.2 ROB] (1). Poisoned apples : poems for you, my pretty / Christine Heppermann, with photographs by various artists. Material type: Book; Format: print ; Literary form: Not fiction ; Audience: Juvenile; Publisher: New York : Greenwillow Books, Copyright date: �2014Availability: Items available for loan: Butte Public Library [Call number: YA 811.6 HEP] (1). 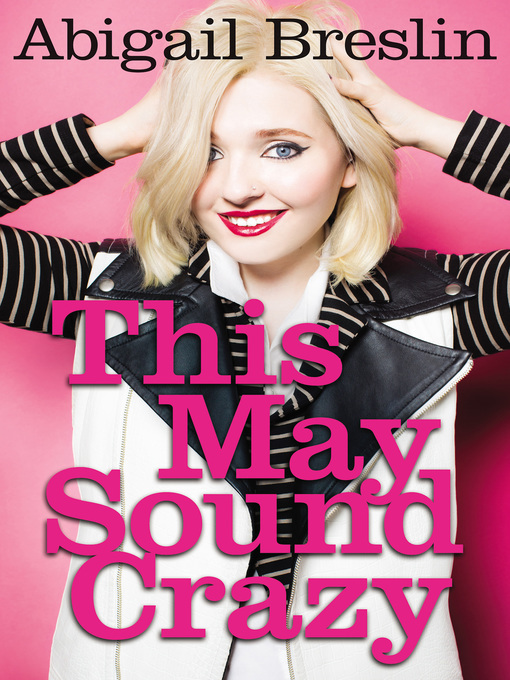 This may sound crazy / Abigail Breslin. by Breslin, Abigail, 1996- [author.]. Edition: 1st ed.Material type: Book; Format: print ; Literary form: Fiction ; Audience: Adolescent; Publisher: New York : Harper Teen, �2013Availability: Items available for loan: Butte Public Library [Call number: YA F SHE] (1). The education of Margot Sanchez / Lilliam Rivera.